Every cat needs at least some occasional grooming, but some need it more frequently and extensively than others. 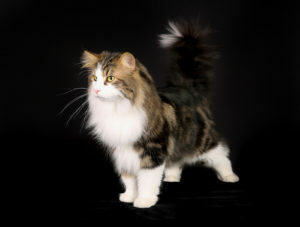 The Norwegian Forest Cat is not the most demanding of all cat breeds, but it does require more consistent grooming because of its unique coat. Wegies tend to shed less than other breeds, but still need their coat brushed and cleaned to help prevent knotting and excessive hairballs from forming when cleaning themselves. When you brush out a Wegie’s coat, start with your hand and not with a brush. Wet your hands a little and massage the coat, from the head towards the tail. As you gently massage the coat, take note of any rashes on the skin. If you notice any irritation, contact your Vet for guidance. If the skin looks good, you can keep massaging until the entire coat has been completely worked over and smoothed out. Do not massage with dry hands, as it would have almost no impact on the coat. Don’t worry about the water (a Wegie’s top coat is waterproof)! It should be noted that a Norwegian Forest Cat doesn’t necessarily need a hairbrush at all. If you do use one, make sure you go for a wide-toothed brush. Starting with a narrow-toothed brush can harm the coat. Frequent baths will strip the Wegie’s coat of essential natural oils and can make him uncomfortable. The coat can also be damaged and the skin will be more vulnerable to inflammations. For occasional baths, always use a Vet-recommended shampoo that is rich in essential oils. Too lathery a shampoo, or one with only cleansing effect and no essential oils will be harmful. Do not let the shampoo or any soapy water come into contact with the eyes, ears or nose of your cat. You may want to get some help from a family member because your Wegie is likely to be playful during a bath. Consider contacting your breeder or Vet for grooming advice, or a referral to a top-quality professional groomer. 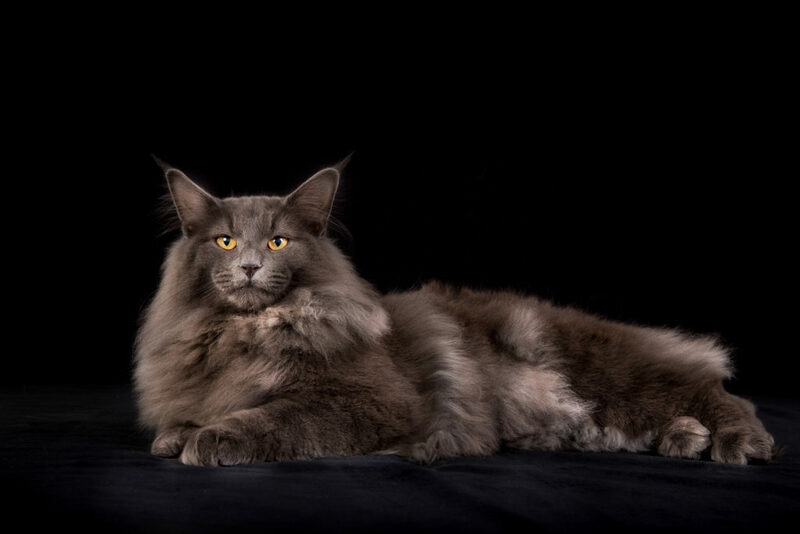 Always use a soft toothbrush with gentle movements to clean your Norwegian Forest Cat’s teeth. Make it a routine (even though your Wegie probably won’t like it). Use all-natural wet wipes or cotton buds to gently clean the ears, as they can be a haven for mites. Don’t cut your Wegie’s nails unless they are too big or causing discomfort.